Most popular section of whitewater in Colorado! The Browns Canyon section of the Arkansas River is the most popular whitewater section in the U.S., because it is challenging enough for experienced rafters, yet forgiving enough for first-timers. This boulder-strewn canyon sports large, exciting rapids, each followed by a calm pool that allows time to recover and prepare for the next big rapid. It is this pool-drop character that makes Browns Canyon suitable for a wide range of ability levels. Its unparalleled scenery is why Browns Canyon was named a National Monument in 2015. Recommended For: Everyone! First-timers, experienced rafters and families are all compatible with this classical pool-drop section of white water. When you book a Browns Canyon rafting trip you’ll experience Colorado’s most popular white water rafting trip! Raft the Arkansas River in Buena Vista, Colorado near Denver, Colorado Springs and major resorts towns. Suitable for all skill levels and kids ages 7+, you can experience a Browns Canyon rafting adventure anytime between May 1 and Labor Day. Join us for a half day of action-packed white water on the Arkansas River. Departing from Buena Vista, Colorado this adventure is close to Denver, Colorado Springs and major resorts. Rafters of all skill levels and kids ages 7+ are welcome on this trip that runs between May 1st and Labor Day. Take on two great Arkansas River sections in one day! You’ll start in the fun and fast-paced rapids of Browns Canyon and finish with the challenging and technical rapids of the Numbers. This trip departs from Buena Vista, Colorado, near Denver and Colorado Springs, and is recommended to advanced rafters and those ages 14+. Available from May 15 to Aug 20. Experience fantastic rafting and comfort all in one great Arkansas River trip. 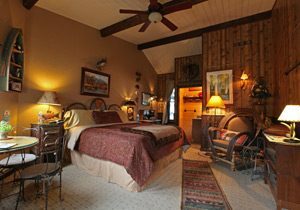 Customize white water rafting sections, comfortable lodging at bed and breakfasts and delicious dining choices at local restaurants. Departing from Buena Vista, Colorado – near Denver and Colorado Springs – raft anytime between May 15 and Labor Day. Suitable for all skill levels and kids ages 10+. Notes: Browns Canyon can be rafted as low as 250 cfs and as high as 6000 cfs, making it an ideal alternative if other sections are restricted due to water levels. The Bureau of Land Management declared Browns Canyon area a wilderness study area in the year 1979. A wilderness study area meant that Browns Canyon area was an undeveloped federal land and would retain its primeval features and influence without human habitation, activity or permanent adjustments. Wilderness qualities like the desolate, scrubby towers, high canyon walls, and placid stretches qualified Browns Canyon to be declared a wilderness study area. As such, the Colorado Wilderness Act of 1991 introduced by Dan Schaefer and Wayne Allard would have declared thousands of acres in Colorado (including Browns Canyon area) wilderness. However, the bill did not go beyond the committee stage. Later in the year 2005, Joel Hefley and other law experts in Colorado reintroduced the bill, and a companion bill was established in the Senate by Wayne Allard. The bill still failed to come into law following an objection by the National Rifle Association. The association objected the bill claiming that it would restrict any hunting activity in Browns Canyon. Senator Ken Salazar reintroduced the bill but also failed at the committee stage. In the year 2013, other senators like Michael Bennett and Mark Udall also attempted to introduce the bill this time as a national monument but also failed. Udall’s bill included more than 10,000 acres of land (wilderness) protection not contained in the initial proclamations as only the Congress could ratify such proclamations. It wasn’t until February 19th, 2015 when the US President declared Browns Canyon a national monument using the Antiques Act of 1906. The pristine 21,586 acres of Browns Canyon land are now a national monument co-managed by the Forest Service and the Bureau of Land Management. A survey indicates the presence of American-Indians for nearly 13,000 years. Archeologists have documented archeological sites in the area with Archaic and Paleo-Indian attributes. The Ute and Jicarilla Apache also claim to have traditional cultural ties in the area. The communities were semi-nomadic and thrived on hunting and gathering as well as occasional cultivation along the river beds. The Utes are said to have occupied the Western parts of Colorado during those historic times. And unlike the Jicarilla Apache, who were united, the Utes formed numerous nomadic bands tied to neighboring communities. Additionally, there is the evidence of the modern man as revealed by chipped stone processing sites, open campsites, ceramic pottery kilns and culturally adjusted trees (the work of early explorers and miners in the late 1800s). Structures like historic cabins are also found outside the monument area. Since time immemorial, Americans have been known to highly regard environment conservation. Both industrialists and naturalists have preserved important public lands and waters in the hope that by conserving these special places, future generations would enjoy the same natural beauty as they did. In pursuit of similar footsteps the US President recently declared Browns Canyon a National Monument using the Antiques Act of 1906 that grants the President power to designate national monuments so as to protect objects that are of significant scientific and historical interest). Learn about the ceremony here. Browns Canyon boasts of 11,836 acres of San Isabel national forest and 9750 acres of Bureau land. The monument will be co-managed by the Forest Service and the Bureau of Land Management. It is a unique area that towers over the once famous Arkansas River. Its granite walls resemble a series of natural cathedral spires that change hues as sunlight fades. Browns Canyon stretches between Buena Vista and Salida communities in Chafee County, Colorado. Boasting a height of 7300-10,000 feet Browns Canyon offers a backdrop of the stunning view of Arkansas Valley as well as the Sawatch Range in the Rocky Mountains. The range (Sawatch Range) formed nearly 70 million years ago and is home to the highest peaks found in the region (approximately 14000 feet). The most distinct environmental features about Browns Canyon include the mountains, canyons with glacial features, gulches and massive ridges of mountain debris. The drainages intertwine with the canyons draining into Arkansas River. Though surpassed by Ocoee River in Tennessee, Arkansas is still home to outdoor recreational activities like rafting and kayaking. It is a beacon to white water anglers and rafters. The river has sparkling clean water and is home to different wildlife while providing scenic views. Browns Canyon National Monument is the recreationalist’s dream of biking, rafting, hiking, photography, nature watch among other exciting outdoor activities. The area managed by the Forest Service, however, features a rugged and undeveloped terrain. There are no camping sites and few roads limited to folks who are hiking or mountain biking usually four miles of the non-motorized San Isabel National Forest portion. Wildlife fans get to see the big game like the mule deer and elk during winter. Additionally, they get to view big horned sheep introduced in the early 1980’s. Other kinds of wildlife found in the area include the mountain lion, coyote, American black bear, red fox, bobcat and the American pine marten. You will also find different types of bat species inhabiting the area.